If you’re planning to do business online, then you’ve most likely considered using a Virtual Private Network (VPN) at one point or another. Any enterprise that does business online needs to keep its data protected against all eventualities. VPN is a secure network of computers that allows you to share data without having to worry about unwanted intruders. VPNs have started to rise in popularity within the workplace as more teams are working remotely. As employers look to reduce overheads by accommodating flexible working conditions, VPNs are being used to secure mobile collaboration and communication on enterprise-level networks. In this article, we’re going to break down the fundamentals of what a VPN is and explore why businesses have been deploying them in recent years. A VPN forges an encrypted network connection and sends traffic straight to a proxy server. This stops unauthorized users from accessing the network or any information on it. A VPN is a virtual network of computers which is used to share data and files between different users. This technology remains secure from unauthorized access through the use of encryption. Essentially, a VPN uses encryption protocols to create private P2P connections. The information transferred via these connections cannot be read by your ISP because of the encryption. One of the most important things to note about VPN is that it links you with other users across the world as if they were directly connected to your network (putting them within reach of your intranet services). A VPN has two components: A Network Access Server (NAS) and a software interface. The NAS connects your computers on a remote basis and the software interface allows the user to sign into their VPN service. When the staff wants to use a VPN to transmit information they simply need to sign into their account. This restricts who can access your VPN service and helps to keep it secure. A VPN allows you to connect lots of remote workers to a secure network. A VPN literally allows a remote computer to interact with devices in the office as if they were at a desk. It also allows companies to link one or more sites to the same network. Remote devices can make use of the company intranet. They can also use servers and printers in a different location. VPNs are used due to providing a secure network but they are also used to help sustain a remote team. Teams with employees who need to travel regularly for business can all connect to one private server in order to maintain everyday business operations. It is also worth mentioning that a VPN also allows companies to mask their physical location. This is particularly useful for companies that are doing business in one country but working in offices outside the country and want to appear as if they are in that country. Does a VPN Make my Connection Private? A VPN is undoubtedly the most secure way to connect and operate online. It prevents your ISP from being able to see your internet history. However, this doesn’t mean it is impervious to being compromised. If your device has been infected with malware then the best VPN in the world won’t be able to prevent your data from being viewed by an unauthorized user. The security afforded by a VPN depends on how the VPN is treated. For example, if members of the staff don’t log out of the VPN once they have finished working, then the network could be vulnerable to an outside threat. Closing a VPN when not in use helps to reduce the number of points of entry to the service and decreases the risk of an unauthorized breach. ExpressVPN isn’t cheap, but when you select a service for your business, reliability is more important than cost. The company offers all new customers a 30-day money-back guarantee, so you can try the service risk-free. The privacy protection of ExpressVPN is exceptional. All communications between your site and the chosen VPN server is entirely encrypted with a 256-bit key AES cipher. User authentication and session establishment procedures use 4096-bit key RSA encryption. This is uncrackable security and makes ExpressVPN a good choice for those businesses that do online business with or in China – the Chinese authorities can’t defeat the ExpressVPN identity protection procedures. ExpressVPN is a good choice for those businesses that deal with customers in all restrictive regimes, not just China. The system is great at protecting the identity of users in Pakistan, Iran, Saudi Arabia, and other nations that suffer internet access controls. The company keeps no logs. That is an important factor because record keeping allows authorities to force digital service providers to disclose the activities of their customers. Without any log archives, ExpressVPN can’t be forced to hand over any records. The high speeds of the service mean that it won’t impair your video conferencing to far off branch offices or overseas clients. If you install the utility on your company’s gateway router, all of the devices in the office are covered. So, you can truly extend the privacy of your premises network out over the internet. This protection from snoopers is why VPNs get their name: ‘virtual private network.’ Not all VPN services are competent enough to give you the same level of privacy on the internet that you enjoy on your company’s LAN. However, ExpressVPN certainly does deliver that level of privacy. VyprVPN is a company that is renowned for proclaiming that it has the ‘world’s fastest VPN service’. Though they aren’t the only company to claim this title, they are one of the service providers that sits at the top of the pile. With over 70 server locations, encryption and a NAT firewall, VyprVPN is suitable for a diverse range of enterprises. As a VPN provider, VyprVPN is a company that manages its own servers. This grants a degree of quality control that isn’t offered by many other providers. In terms of service, VyprVPN offers users unlimited connection. There are no download caps or fees for switching servers. One particularly interesting feature is the company’s get around for VPN blocking. VPN blocking is a practice where VPNs are blocked on certain sites. 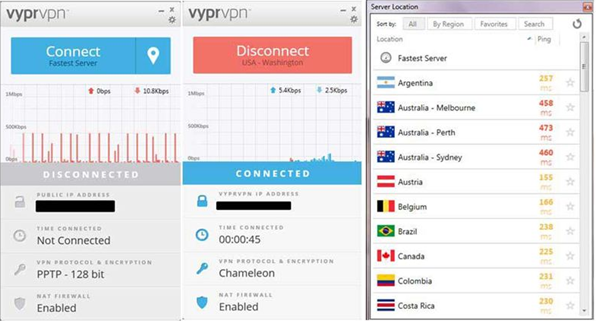 VyprVPN uses Chameleon VPN to work around this and make sure that your service isn’t limited in any location. This VPN also offers VyprVPN apps for Windows, Mac, Android, and iOS. These apps make it very easy for a team to operate even when they are away from their desks. VyprVPN is competitively-priced with two pricing options available. The standard option is available for $4.82 (£3.63) per month or an annual basis or $9.17 (£6.90) billed monthly for three simultaneous connections. If you need more you can purchase VyprVPN Premium. The premium version is $6.36 (£4.79) billed annually or $12.29 (£9.25) billed monthly. The premium version supports five simultaneous connections, VyprVPN Cloud and the Chameleon Protocol. Hotspot Shield is a solid alternative if you’re looking for a VPN that can support a competitive number of devices. With 2500 servers and the ability to support 20 devices, Hotspot Shield has the bandwidth to support a hefty enterprise workload. This company claims to have produced the ‘world’s fastest VPN for streaming, browsing and gaming’. However, one of the areas where Hotspot Shield really stands out is its security. All of your activity through the VPN is encrypted and there is absolutely no activity logging. This gives you more privacy and decreases the ability of your ISP to snoop on your usage. Hotspot Shield also has built-in protection against cyber threats like malware and phishing attacks. While you’d want to pair this with an antivirus platform in order to stay fully protected, this VPN’s security features provide you with enough baseline support to get you started safely. Hotspot Shield is a platform that is suitable for Subject Matter Experts (SMEs) and large organizations alike. Its unlimited bandwidth and scalability are the two main reasons this is one of our top picks. There are a number of pricing versions available for Hotspot Shield, you can pay $17.26 (£12.99) per month. Or if you pay for a yearly subscription for $7.96 (£5.99) per month. However, if you purchase Hotspot Shield on a two-year subscription the price goes down to $3.97 (£2.99) per month. TorGuard is another VPN provider that can keep pace with the needs of most organizations. With over 3,000 servers spread across over 50 countries, this VPN has the reach to support an active remote team regardless of its location. All data transferred through TorGuard is encrypted so that it can’t be read by unauthorized eyes. While this is typical of most other providers, it is a core part of the product’s offering. While the software’s user interface looks quite dated, it is straightforward and gets the job done. Overall, this is an interesting product because it has developed somewhat of a maverick reputation. In the past, the company has claimed that their VPN has the ability to sidestep VPN blockers in countries like China. While this isn’t a concern of most organizations it does demonstrate TorGuard’s commitment to privacy. TorGuard has a range of pricing options available for business VPN; Starter, Small, Medium, and Enterprise. The small version supports unlimited speeds and bandwidth with three VPN IP addresses for $69 (£51) per month. The Small version is available for $110 (£82.85) per month with five dedicated VPN IP addresses. The Medium version is where things start to get a little bit more interesting at $169 (£127) a month for 10 dedicated VPN IP addresses. The Enterprise version supports 30 dedicated VPNs and a dedicated server, but you have to contact them for more information. Next up on our list, we have NordVPN. This VPN service boasts a whopping 4,402 servers worldwide and has become one of the most well-known providers on this list. NordVPN provides you with everything you need to set up your own private network including a dedicated VPN server and account manager for enterprise users. This allows you to deploy a private network and manage a team easily. While NordVPN isn’t as fast as a solution like VyprVPN, it has the server reach to make up for this discrepancy. Currently, this provider is available in over 62 countries, making it one of the best in terms of global reach. This is supported by its mobile app reach as well. There are mobile apps available for Android, Windows, Mac OS, iOS, Chrome, and Firefox. 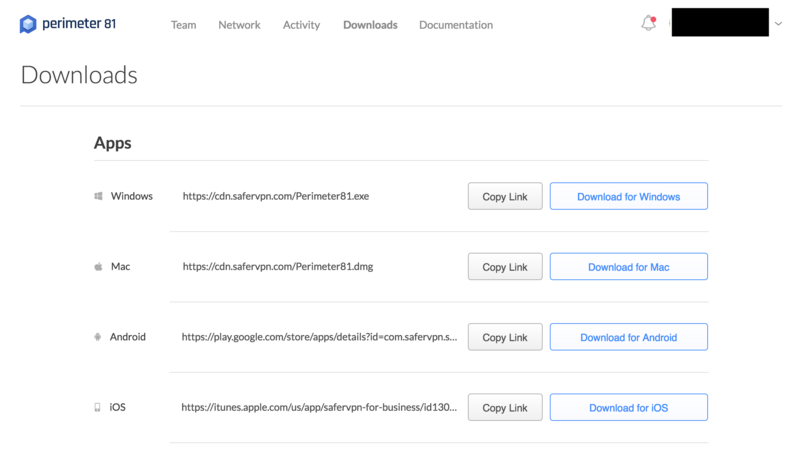 NordVPN has a variety of subscriptions available that are all suitable for enterprise users. You can purchase a one-month plan for $11.95 (£9). If this is too steep then you can purchase the one-year plan at $5.75 (£4.33) per month or $69 (£51.96) a year. We advise that you opt to go with the two-year plan which is billed at $3.29 (£2.48) per month or $79 (£59.49) every two years. Pure VPN is a VPN that often slips under the radar but remains an excellent choice for larger organizations. With over 750 servers and unlimited bandwidth, this product has the scalability need to keep track of any enterprise-grade environment. It is also very fast with 1Gbit connection speed. There is also a split tunneling feature which divides your data between your ISP and VPN to improve your performance. This VPN is also P2P-enabled so that you can download files with complete security. There is also a VPN app available for Windows, Mac Android, iOS, Linux, and over 16 routers. There is 24-hour live chat support to make sure that you get the most out of your VPN. Overall this is a strong platform with enough bandwidth and speed to sustain organizations with intensive usage requirements. Pure VPN has a range of subscription options from which to choose. You can buy one-month for $10.95 (£8.24). However, it is more cost-effective to buy a year as this will cost you $4.15 (£3.12) per month. If you require a VPN for longer-term usage you can purchase the three-year subscription for $1.95 (£1.47) a month. Finally, we have Perimeter 81. 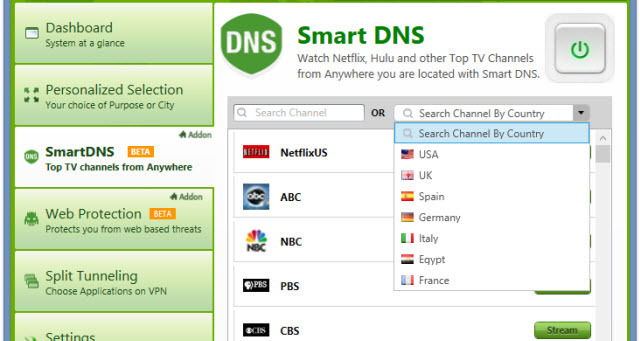 This VPN is available on Windows, Mac, IOS, and Android with over 700 servers in 35 locations. 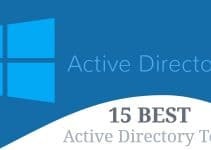 Perimeter 81 has made a spot on this list on account of its device support for larger infrastructure. This VPN can support over 100 devices making it powerful enough to cater to the needs of most middle-to-large organizations. Perimeter 81 is a solution that was designed specifically to support remote teams. For instance, you can provide your team with static IP addresses and access to a cloud management portal. On the cloud portal, you can manage the access privileges of your team to control whether they have access to key services and SaaS features. This is beneficial for restricting VPN access to core team members. There are two versions of Perimeter 81; Business and Enterprise. Both versions have their own unique features. 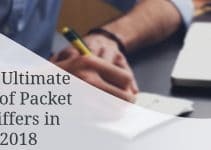 The Business version is available for $10 (£7.53) per each team member, per month and is hosted in Perimeter 81’s Secure Cloud with access to shared servers in 35 different locations. The Enterprise version offers unlimited locations with on-premises custom cloud deployment. This version also comes with VPN Server Management and Monitoring, but you have to contact Perimeter 81 for a quote. Even though VPNs allow you to connect to the Internet securely, they aren’t foolproof. However, incorporating a number of best practices and precautions around the use of VPNs can help to mitigate the risks and reduce the chance of unauthorized users and cyber attacks. When you use a VPN you are effectively allowing access to your network. In order to stay secure, you need to authenticate any access to your VPN. However, you don’t want to use just any kind of authentication. Familiar protocols like PAP, SPAP, and CHAP aren’t secure enough. Instead, you’re looking for an authentication protocol like EAP-TLS. This will ensure that you don’t fall victim to a breach. Every time someone connects to your VPN, they are opening a door. Controlling who opens these doors will help to cut down on the risk of leaving yourself open. This includes controlling which members of staff have access to your VPN and ensuring those who have access log out when they aren’t using it. Being discriminating about who has access to your VPN will reduce the likelihood of information reaching the wrong people. We’ve all heard the importance of using secure passwords to access online services, but there are still plenty of users who are behind the times. To keep the integrity of your VPN you need to encourage your employees to select secure passwords with a healthy mix of capital or lowercase letters, numbers, and symbols. They should also be regularly updating their passwords as well. Once these passwords have been selected they should be changed around 2-3 times a year. Each computer connected to your VPN poses a risk to your service. As a result, ensuring that connected devices have antivirus software allows you to ensure the integrity of those devices. A high-quality antivirus product will be able to identify if a computer has been compromised. Likewise, a firewall will be able to prevent threats from taking root before they become a problem. With VPNs, you not only have to worry about connected devices but connected networks as well. In order to avoid being infiltrated by malware, you need to make sure that all employees ensure their home networks are secure. If employees are working from home, then they should be sure that they have configured their routers securely. This should include a firewall and configurations for WPA. Any organization seriously looking at keeping its network usage secure and deploying a remote team, should consider deploying a VPN solution. These solutions offer enterprise users a cost-effective way of keeping its business processes private. While a VPN still needs to be managed with caution, it provides you with a high baseline of security against external threats and snoopers. All of the tools that we’ve looked at in this article would function well within an enterprise-grade environment. Solutions like ExpressVPN, PureVPN and Hotspot Shield are our top picks in terms of scalability. Scalable bandwidth and the potential to accommodate more users and devices is vital for making sure you stay prepared for the demands of the future. However, before deploying any kind of VPN, make sure you try a test run first. Purchasing a one-month subscription will allow to test your prospective VPN’s abilities and to ensure that it has the features to support you. This will give you peace of mind that the solution you have chosen is the right one for you. Since 2017 Tim has have been a full-time tech copywriter. Tim has written extensively on net admin topics helping businesses and entrepreneurs to keep their data protected. Tim has also written widely on cybersecurity.